Every day you make many decisions about how to spend your money. Whether you’re grocery shopping, driving to work, paying bills or just watching TV, there are small things you can do to spend less. 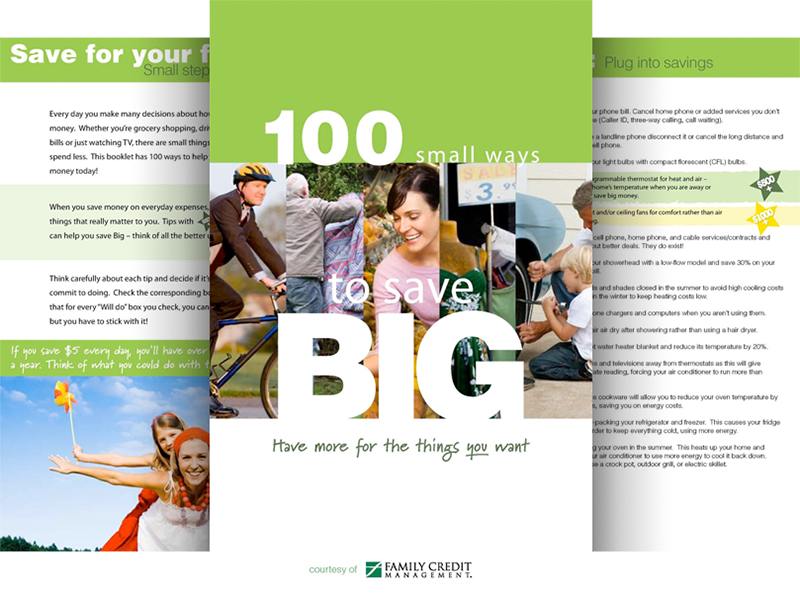 This booklet has 100 ways to help you start saving money today! When you save money on everyday expenses, you’ll be able to buy things that really matter to you. Look out for the tips with stars next to them- these can help you save really BIG. Think of all the better uses for that money! Think carefully about each tip and decide if it’s something you can commit to doing. Download this booklet, use the check boxes to keep track of your goals and have more for the things you want.